When I was a very little girl, maybe 4 or 5 years old, I remember my Mama inviting her lady friends over for lunch. She didn’t host a monthly event, but the ladies came to our house for a fancy luncheon several times a year. The dining room table was set with the good dishes from the china cabinet and several card tables with crisply pressed tablecloths were set up to seat the additional guests. The ladies were most often the mothers of my friends from Sunday School and kindergarten. I can see Mama in a blue dress and pearls, hair freshly coiffed from the beauty parlor, entertaining flawlessly as she served chicken salad, tomato aspic, homemade biscuits and tall glasses of sweetened iced tea garnished with fresh mint and an orange slice. 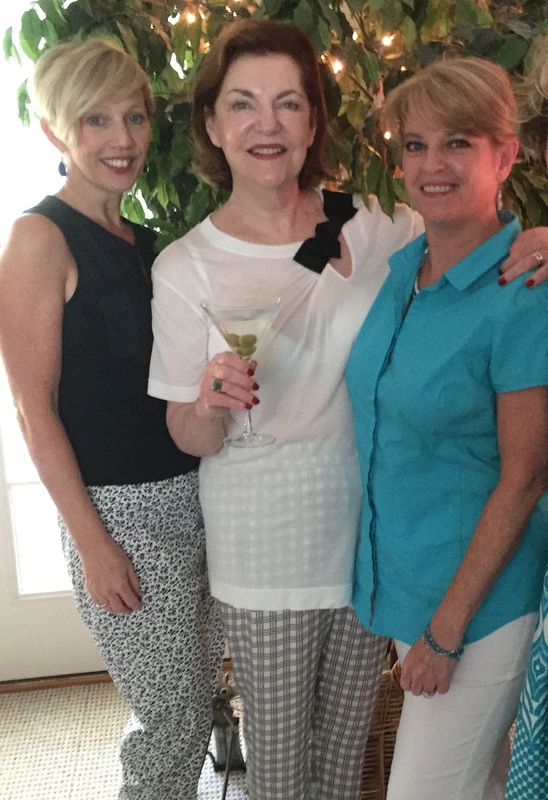 Last week, I invited a few of my girlfriends over for a salad and martini luncheon to wish our dear Susan Murphy (LCW’s Aunt Bossy) a fond farewell as she leaves us for a few months to spend her summer in France. In a nostalgic attempt to recreate ladies luncheons of days past, I pulled out a lace-fringed tablecloth along with our wedding china, Mama’s silver flatware and the crystal glasses from the breakfront. I unwrapped our Reed and Barton napkin holders from their protective cases and set the dining room table with freshly starched napkins in preparation of the all-girl event. Susan and I were joined by LCW editor, Margaret Evans; Greenbug president, Louise Hodges and Karen Wyman from The Blood Alliance and WHHI-TV. 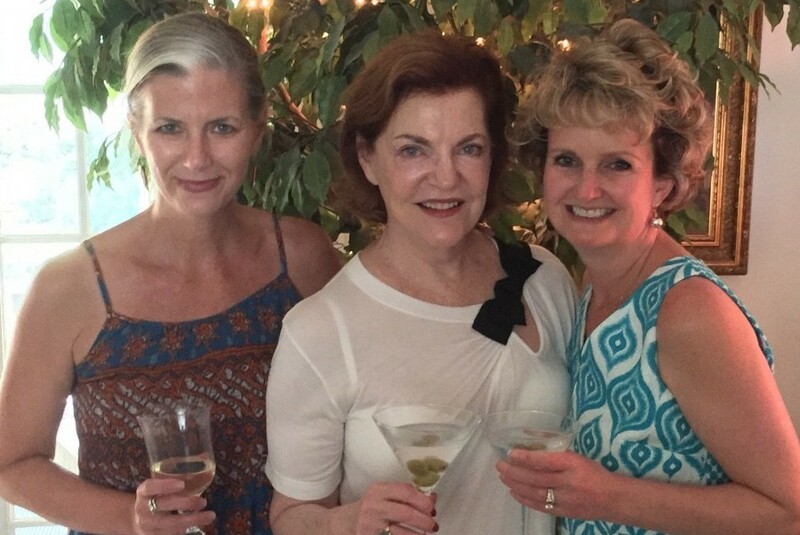 Anyone who knows Susan well, knows that she’s very fond of dry martinis and chopped salads. I did my best to accommodate. What a good time we had! 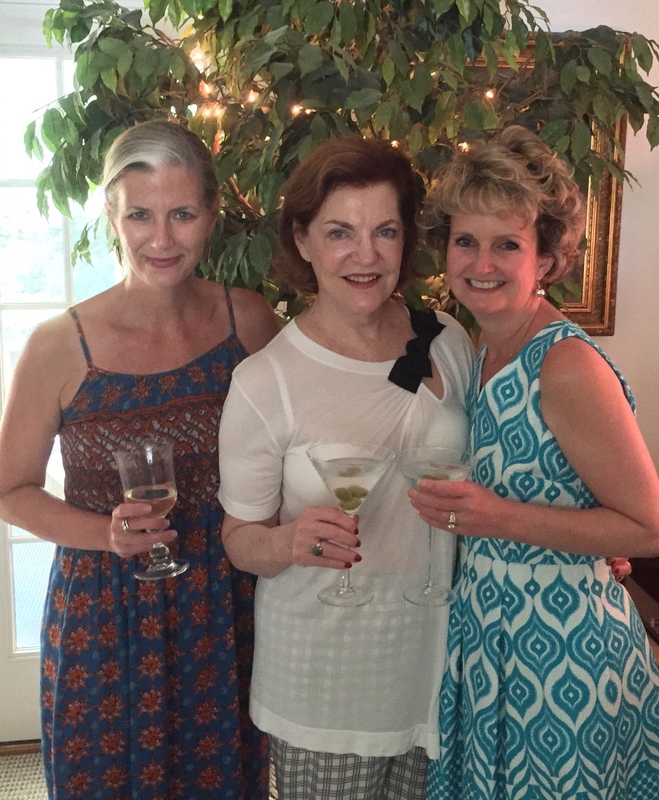 It’s exhilarating to spend time with smart and interesting women who like to laugh and love to eat. I recommend the experience to anyone who is in need of some girlfriend time. I forewarned all of my guests that I was planning to turn our event into a column. I chose recipes that were simple to make and could be prepared ahead of time so that I could spend the afternoon with my friends and not in the kitchen. 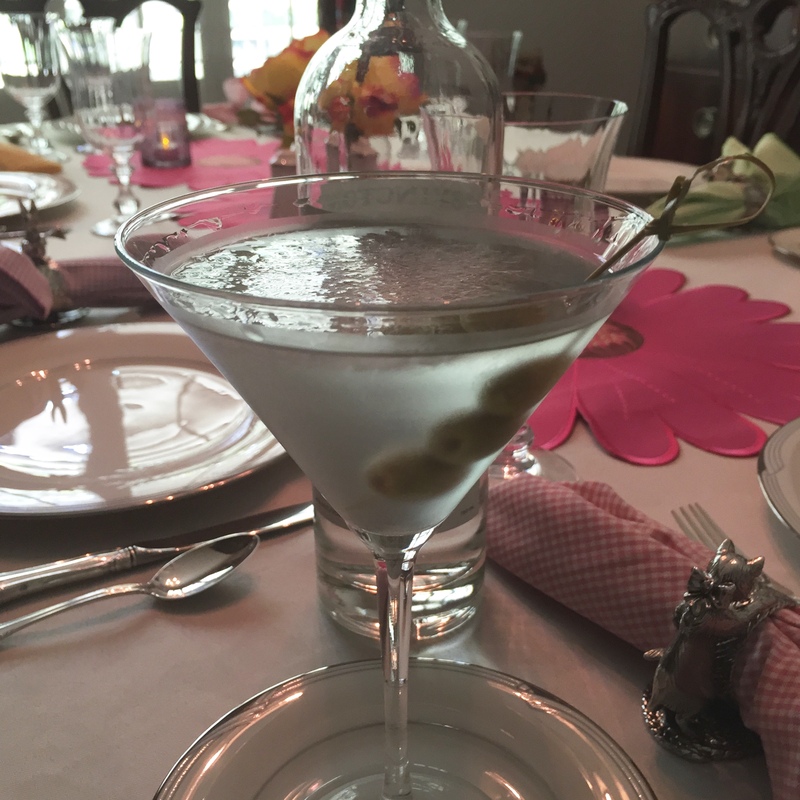 I served a choice of red or white wine (and big glasses of ice water) along with the martinis. I did have to make the salad plates just before we sat down to dine, but it only took a few minutes. 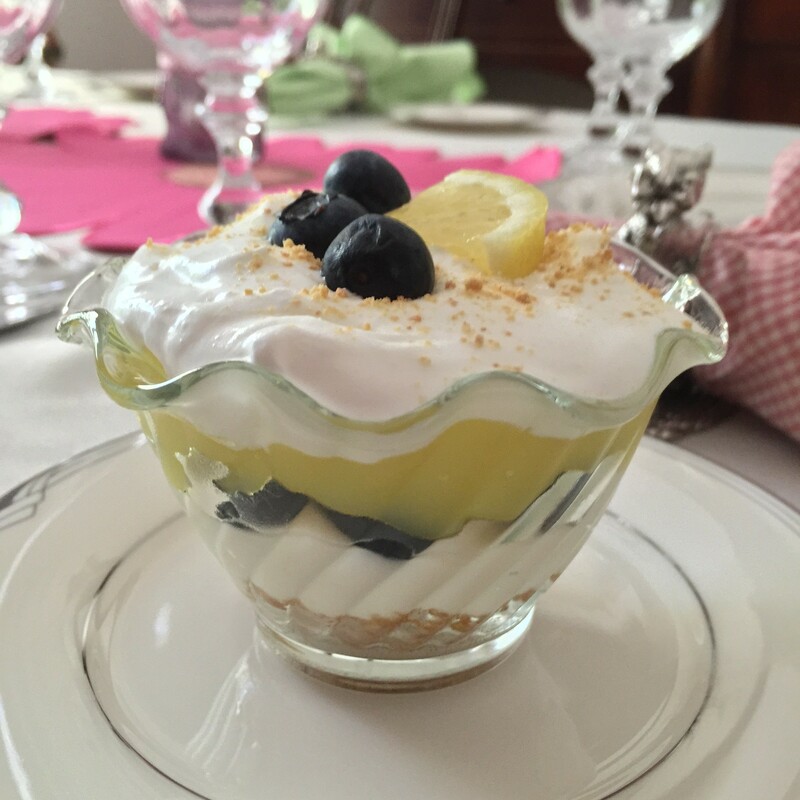 The lemon curd in the dessert can be exchanged for store-bought lemon curd or lemon pudding, if you don’t want to take the time to prepare it yourself. I hope you’ll be inspired to host a luncheon for some of your favorite women. I can’t wait to do it again! Chill martini glasses by placing in the freezer. Pour vodka and vermouth into a cocktail shaker filled with crushed ice. Shake for at least 10 seconds. Strain into a chilled martini glass with no ice. Garnish with skewered olives. Serves 1. Season chicken tenders with salt and pepper. Place chicken tenders in a gallon-sized zip-lock bag. Add mayonnaise to the chicken tenders and squish bag to coat chicken completely. Let marinate in the refrigerator for 30 minutes. To cook chicken, preheat grill to high heat. Once the grill is hot, turn it down to medium. Place the chicken on grill and cook until it begins to turn opaque, turning often to prevent sticking. As the chicken cooks, baste on each side with the barbeque sauce. Cook until chicken is completely opaque all the way through, but still juicy. Remove to a platter and let chicken rest for 5 minutes. Cut into bite-sized pieces. Place all ingredients in a small bowl. Whisk to combine. Set aside until ready to serve. Cook eggs; cool, peel and dice. Cook bacon; drain on paper towels, cool and crumble. Toast slivered almonds; cool. In a large bowl, toss chopped romaine lettuce, chopped kale, chopped red onion, diced cucumber, sliced carrots, baby peas and grape tomatoes with honey-mustard vinaigrette. Place salad mixture on six luncheon plates. 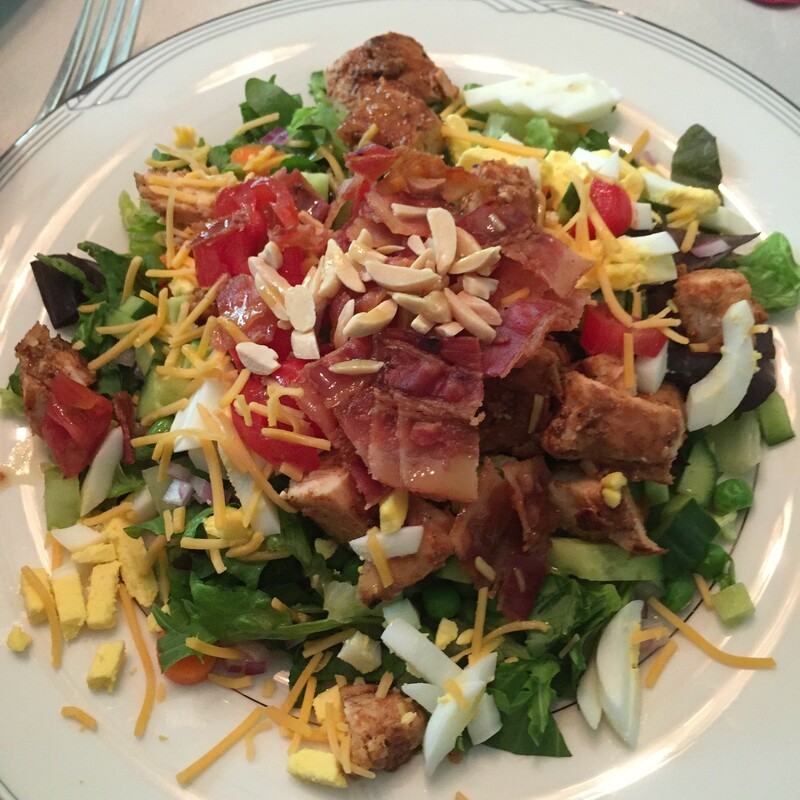 Top with cheddar cheese, diced grilled BBQ chicken and toasted almonds. Serve immediately. Serves 6. Whisk the egg yolks and whole eggs in a non-reactive saucepan. Add sugar, lemon juice, zest, salt and butter and whisk to combine. Cook over medium heat, whisking constantly, until thickened, about 10 minutes. Pour through a fine mesh sieve into a medium bowl, add cream, and whisk. Cover with plastic wrap (put the plastic wrap down on the surface of the lemon curd to prevent skin from forming) and refrigerate until chilled through. In a medium bowl, combine heavy cream and sugar. Beat on high until stiff peaks form. On low speed, beat in cream cheese until mixture is smooth. Combine graham cracker crumbs with melted butter in a small bowl. To assemble: Divide graham cracker crumb mixture evenly in the bottom of six ½-cup dessert dishes. Gently press into the bottom of each dish. Using a small spoon, divide the cheesecake mixture evenly among the six dishes. Use a small spatula to evenly distribute the cheesecake in each dish. Top with a layer of fresh blueberries, about 8-10, per dessert. Divide the lemon curd evenly on top of the blueberries. Use a small spatula to evenly spread out the lemon curd in each dish. Top with sweetened whipped cream. Garnish with a sprinkle of graham cracker crumbs, a few blueberries and a small slice of lemon. Serves 6. The writer owns Catering by Debbi Covington and is the author of two cookbooks, Gold Medal Winner of the Benjamin Franklin Award, Celebrate Everything! and Dining Under the Carolina Moon. Debbi’s website address is www.cateringbydebbicovington.com. She may be reached at 525-0350 or by email at dbc@cateringbydebbicovington.com.